Dubbed as a four-season jacket designed to protect but not restrict, the 2012 Alpine Soft Shell jacket by Royal Racing is a perfect companion that is low-key enough to be worn into the office and offers the right blend of tech to endure what mother nature has to offer. This winter, I was searching for a jacket I could use for everything, from playing outside with the kids, to doing errands around town and obviously one that worked well for rides. This might have been a tall order to fill, but the Alpine Soft Shell Jacket proved to be a jacket for many occasions. 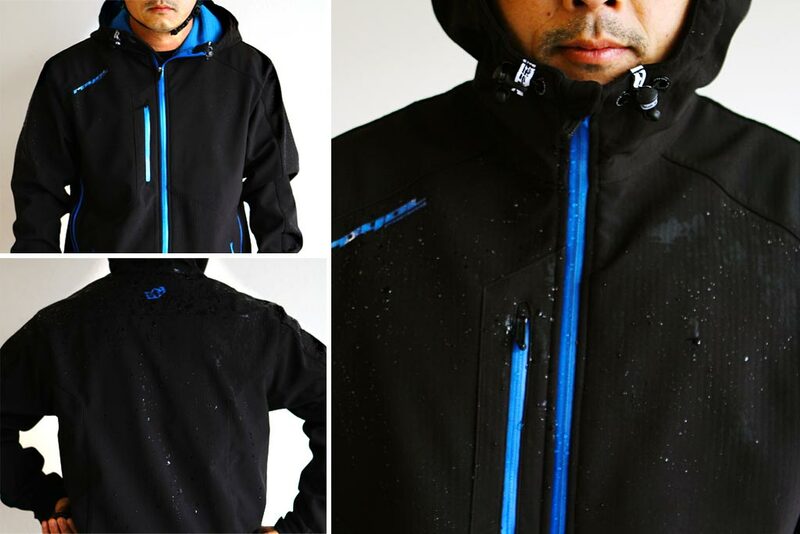 Product Tested: Royal Racing Alpine Soft Shell. Suggested Use: Cold, windy, wet or snowy conditions. Temperature range 30-50° F.
The fit on the jacket is a comfortable athletic fit, but not bulky or loose where it would flap in the wind. There’s ample room where you need it — in the shoulder and armpit areas for easy arm rotation and movement. The length provides good coverage for tire spray and does not hang low, where it could potentially hang up on the saddle. The soft shell material is flexible and is rated at 5,000DPI/5,000MVP. This is a medium rating for waterproofing compared to high end ski jackets that start at 10,000. It makes it ideal for repelling water and breathability. 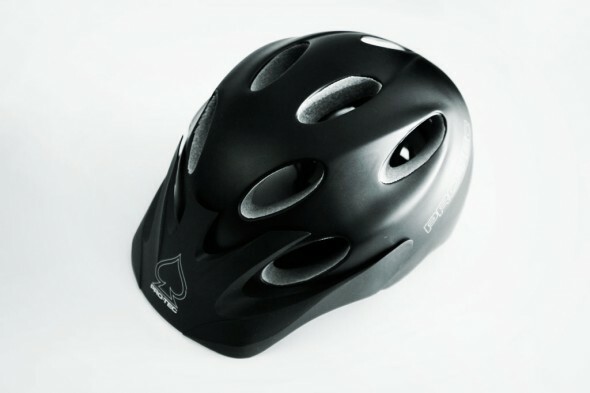 For general drizzly rides, it works well but for huge downpours it wouldn’t be suitable. Although common sense would tell you that you shouldn’t be out there riding when it’s dumping rain — you’d ruin the trails and the trail gnomes would surely place you on their black list. In the riding position, the sleeve length is just right, with the elbow and lower arm being more contoured and form fitting — this makes it less proned to snag branches; which I appreciated. The sleeve opening is smaller than standard outdoor jackets and makes use of an interior flexible fleece cuff that can easily be tucked under the gloves or can be stretched over them. 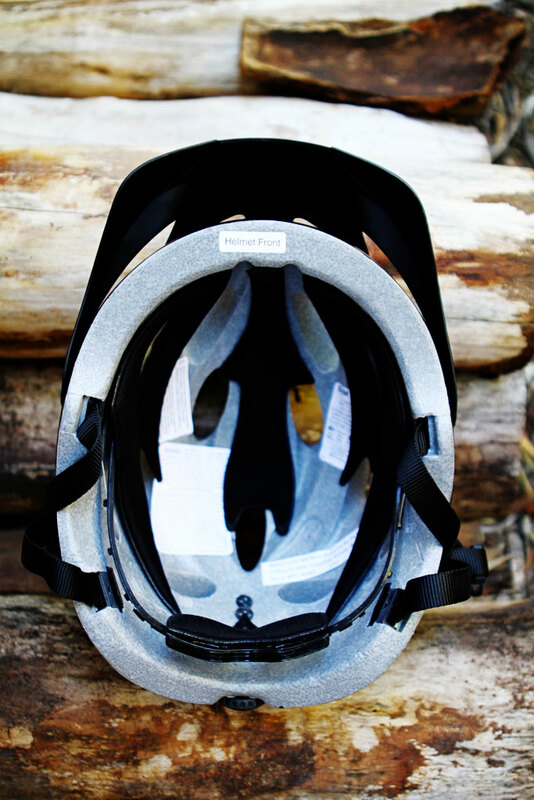 It is topped off with an exterior rubber velcro strap for a custom fit. The lining is a quilted fleece material that will keep you cozy and warm on cold mornings. With a T-shirt as a base layer, I was perfectly happy on rides in the mid to high 30° F range. If it got toasty, the side vents on either side can be easily zipped open to let things breathe more freely. The material however made it tricky to don the jacket quickly when wearing long sleeves because it would catch, I eventually got use to it and it became a non issue. 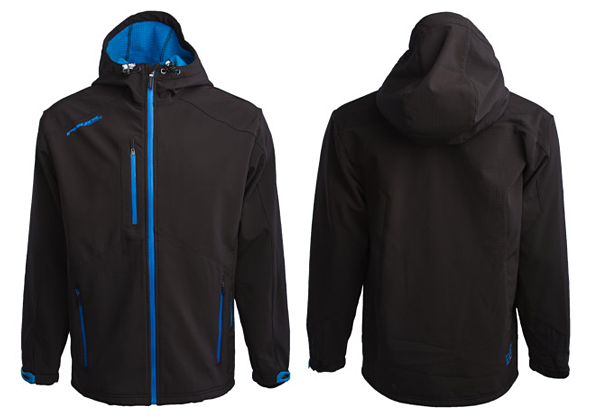 A feature highlighted throughout the jacket are the brilliant blue waterproof zippers. They work really well in keeping the elements out and move with relative ease. The handles are modest in size and have a textured coating for grip when used with gloves on. They become second nature to find and use after a short time. 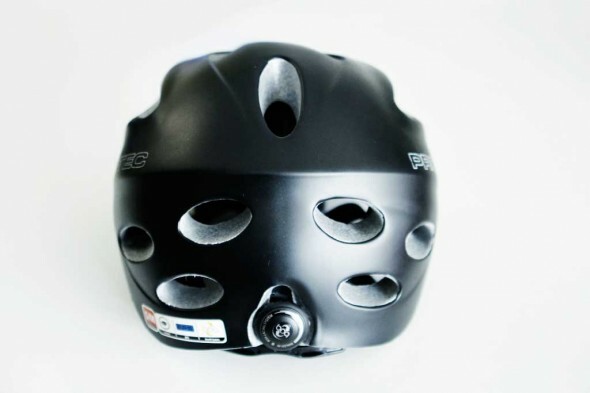 This comes in handy during rides when stopping is not an option. 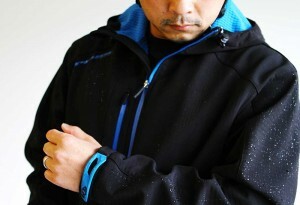 What makes this jacket specific for mountain bikers is the hood. It is designed to accommodate a rider wearing a helmet and be functional. The hood is adjustable horizontally to get the right fit depending on helmet size and also can be synced when you’re using the jacket for casual occasions. Additionally, there are tensioners for the waist accessible inside the hand pockets and the hood opening at the front of the neck. GOOD: Great fit and mobility. Works well in lots of weather conditions. 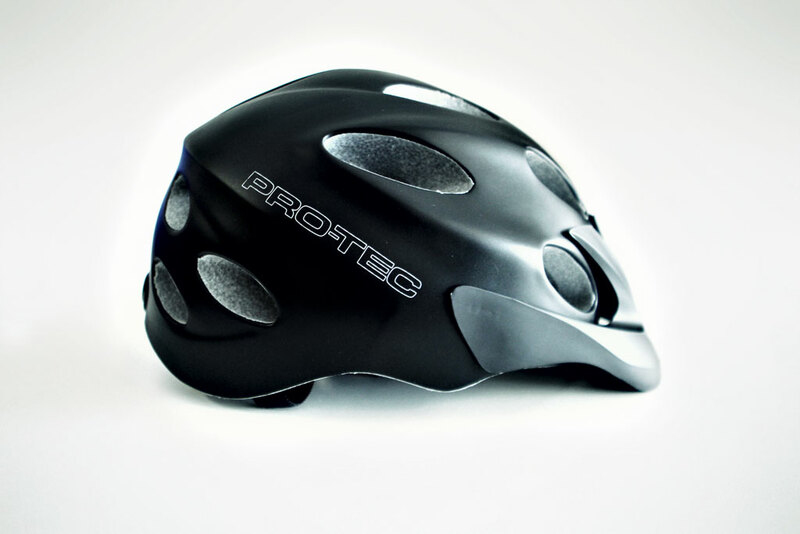 Well designed performance and tech features for mountain bikers and a low-key look for many occasions. BAD: May be difficult to pack down for small volume backpacks.